But no. I make do with a picture of me in a hat or a flashy waistcoat instead, smiling awkwardly for the camera. Ah well. I’m a writer. I don’t get to look cool. But the artists (those who grab the reader’s attention by the balls before they know squat about the story) have a sort of obligation to look cool. Although…I guess I could grow my hair a bit. Get some cool shades? Rock up somewhere, read a book, look nonchalant, and everyone will know I ooze creativity from my style alone. Nah. I’ll stick with my hat. I’m cool in my own head, and that’s good enough for me. Big thank you to Jamie for answering my questions which I attempted to steer away from the usual clichéd stuff and as close to the Weird Path as possible, you know, to make it interesting. Before we dive in, I encourage you to check out Jamie’s artwork, even if you’re not a writer or looking to commission artwork yourself, his creativity is worthy of your time. And if you are in need of artwork I highly recommend Jamie – good humour, very good listener, professional, in tune with his clients (in a spooky way!) and welcomes feedback, working with his clients to create fabulous pieces. You can find him at these 3 wonderful places. Dave: For me at school I was torn between Art & Design and English, though the writer in me won. Jamie: I liked English too, but I preferred creative writing to some of the literature I had to read… I won’t mention any authors in case your readers spit in disgust at my heathen opinions! It’s funny, as you ask that question and I think about it one image still sticks in my mind. 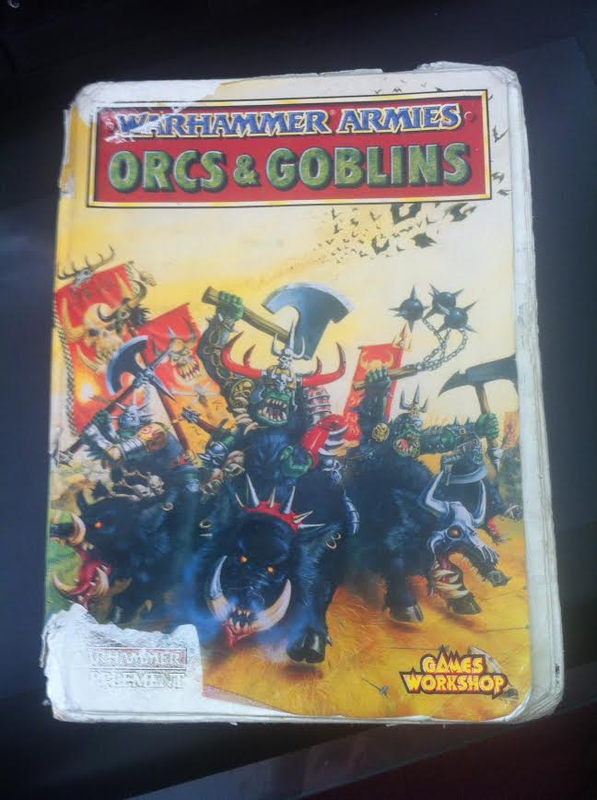 As a kid, I had a few fantasy rule books for a war game I loved. I would take them EVERYWHERE with me. I loved flicking through the pages, reading the stories about the characters but most of all sketching them, copying artists images or making up my own. The image that sprung to mind was Dave Gallagher’s image on the front of one of those books. I remember drawing it countless times I still have the book, in fact here’s a photo… see how tattered it is, that’s several years of being crammed into my rucksack and read in the back of the car. 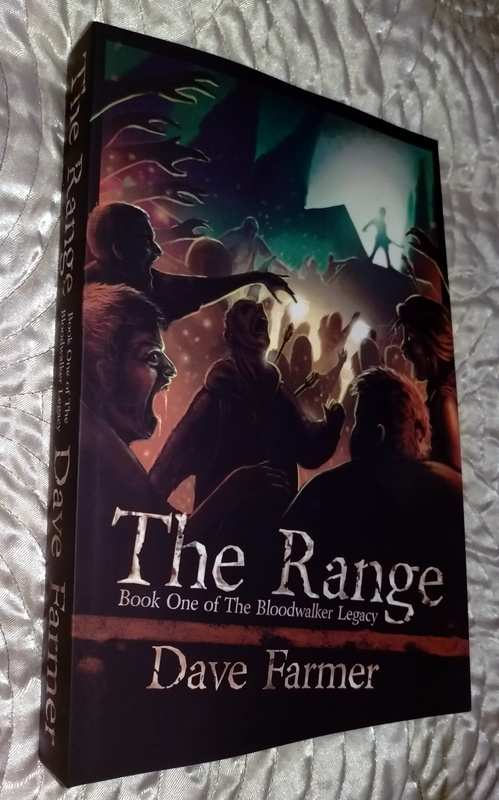 Dave: You mentioned in your recent interview on Mash Stories – Art, Design and Collaboration: The Life of a Graphic Artist – that working on the cover for The Range was a new playground – so is there a genre or style you’re aching to try out? 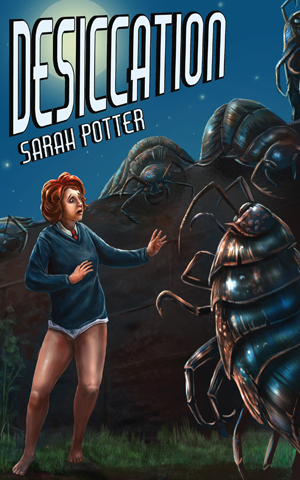 Jamie: I dabbled in urban fantasy when I did Sarah Potter’s cover for Desiccation, and thought that could be fun doing more along those lines, although I really enjoyed that one as it had a real B movie feel to it. I really do love fantasy, sci-fi and horror. Dave: Read my interview with the author Sarah Potter – Interview With Sarah Potter. 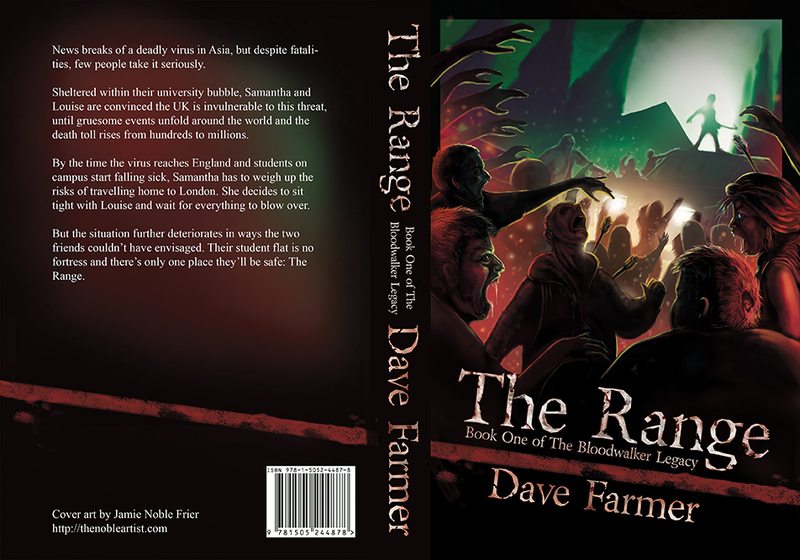 Jamie: I’m still surprised your Range cover was my first foray into “Zombie” horror (am I allowed to call them that?) as I love the fact that horror often crosses over with sci-fi and fantasy and is a natural draw for me. I guess off the top of my head I’d love to do some cool vampire artwork. Dave: Do you display your commissioned artwork anywhere such as conventions or galleries? Jamie: I’ve never done a gallery exhibition. I guess as I work digitally I showcase all my stuff online. I’d love to meet people who were looking at it though. I’d offer them a glass of champagne like I was a real fancy pants, while explaining the difference between a “zombie” and an “infected” as they backed away slowly. In truth, I don’t think I have a body of consistent work that would work in a gallery, as each piece is so unique it wouldn’t have the flow of a collection you’d go and see. There’s that and the fact that I just want to keep learning from every commission I do, I just want to grow. Dave: Also, do you display any in your home or office? Or is that too much like seeing a photo of yourself everywhere? Jamie: I have the first magazine cover that featured my work on my wall. The piece was never intended for anything in particular, but I was asked if it could be used and I was flattered so said yes. It’s super dark though and barely readable, but it means something to me as it felt like a little jump for joy moment. I have a stack of books I’ve illustrated covers for and one day I hope to get loads of frames or even better a super frame to put them all in, like a museum. I could get people in and offer them a glass of champagne and… you know the rest. Dave: Avoiding clichés where possible here, what artists or artistic styles do you admire? Jamie: I love all the artists I grew up trying to emulate, Gallagher I already mentioned but others like Brian Froud, Ian Miller, Frank Frazetta are all really inspiring in the niche I love. However I think Caravaggio’s work is mind-blowing, and there are artists I think have given a lot back like George Bridgman who taught me a lot about anatomy and deserve huge respect. Dave: Since book covers feature in your portfolio, what do you like to read? Sci-fi? Fantasy? Horror? Knitting Digest? Jamie: Who told you about Knittin… I love fantasy stuff and historical stuff, my favourite period of history is the dark ages or early middle ages. I enjoy reading Bernard Cornwell and Joe Abercrombie in particular. Dave: If you could choose a famous author to design a book cover for, who would that be? Jamie: I think Joe Abercrombie, would be up there, but his covers always look beautiful so I think I might be waiting a while for the phone to ring. I really like working with people who are on the edge of recognition. I like that my cover work has a bit of an audience draw for them and I feel like that means more to them than it would to a super established author. Dave: Can you give us a sense of your working environment? For example I prefer to write away from a window with the door closed. Do you like a view outside or prefer zero distractions? I tend to work in a bit of a building mess, then every now and then I just tidy it all up and it feels better. You’ve got to have the rough with the smooth right? Currently mystery items on my desk are – Squeezy honey, an unopened bottle of Hobgoblin ale, several pen caps that don’t fit any pens I own, and a viking drinking horn. Then all the normal papers, pencils, coffee mugs etc. 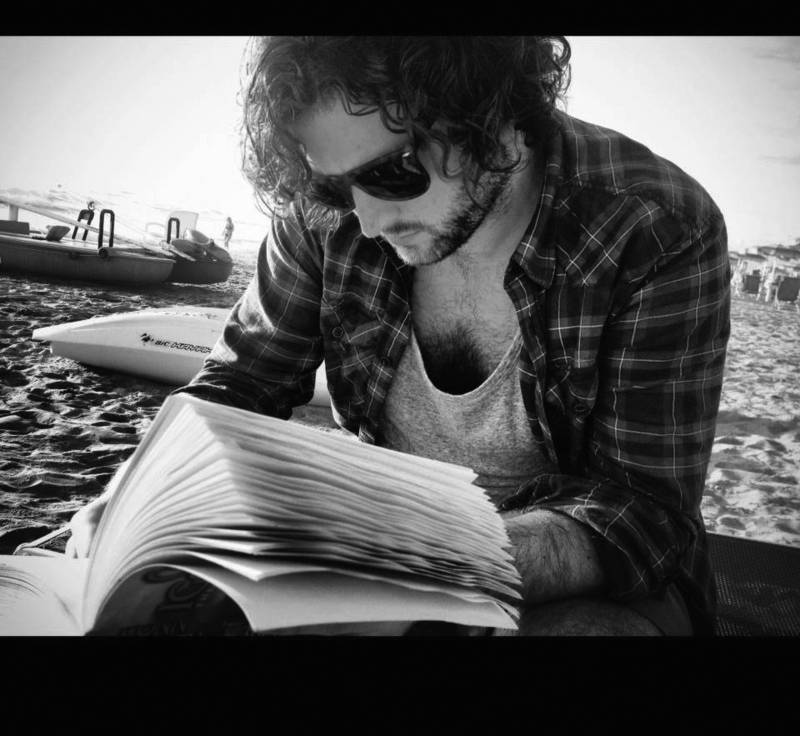 Dave: I listen to music when I write, and vary the genre to suit the essence of a scene. Is that something you do to find the right mood based on what you’re creating? Or are you a “silence is bliss so do not interrupt me whilst I’m creating a masterpiece” type? Jamie: Totally! I think the flat downstairs thinks I’m in a cult or something as I listen to some pretty niche stuff. There’s a band called Wardruna who play Scandinavian dark ages music. That’s excellent whenever I’m drawing something quite dark and broody. Dave: I’ve never heard of Wardruna, but they do some deep and soulful ancient tribal mystical stuff. Very emotive. Jamie: Sometimes I’ll stick on something upbeat while I’m doing concept work just to keep it moving quickly. Sometimes I just have the news or something on, so you have that comforting sound of conversation in the background. If I’m out of my comfort zone, trying something new, or in particular doing the techy bit of the job – dimensions calculations for book covers etc, then silence please! Dave: If you could ask one person from history one question, knowing they have to answer, who and what would you ask and why? Jamie: Wow, big question. Whatever I say, I’m going to think of something better tomorrow and regret this answer! Off the top of my head… I’d probably ask Henry VIII if he had commitment issues. Forest Gump- I go through every emotion (“He wrote you a letter Jenny”), and Tom Hanks seems really cool. Did you watch Star Wars The Force Awakens? If so did you love it or hate it? Vikings is fantastic. I’m not sure if I prefer it to Game of Thrones or not. I do also love a documentary, Louis Theroux has a great almost innocent childlike tone when he speaks to people which means they open up and you get real insights. Dave: I love conversations around apocalypse scenarios, both from a philosophical and practical point of view, especially zombie related. 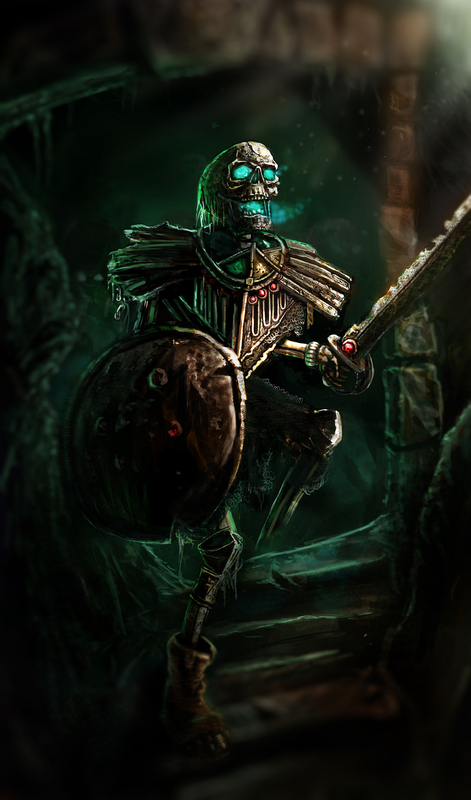 So, how do you think you’d cope if faced with an undead uprising? Jamie: I have this conversation frequently with a few friends, and also make my wife tell me what weapon she’d use in the room if she had 5 seconds to grab one. I even have a friend who has a bag packed in his attic with emergency rations. I think I’d be ok, I’d like to think I’d be able to be fairly calm and helpful. If there was a Zombie apocalypse, I’d almost definitely assume the identity of a viking. A friendly one, more beard and drinking horn than pillaging and burning. I figured it was worth mentioning here that Jamie is adept at more than book cover design. 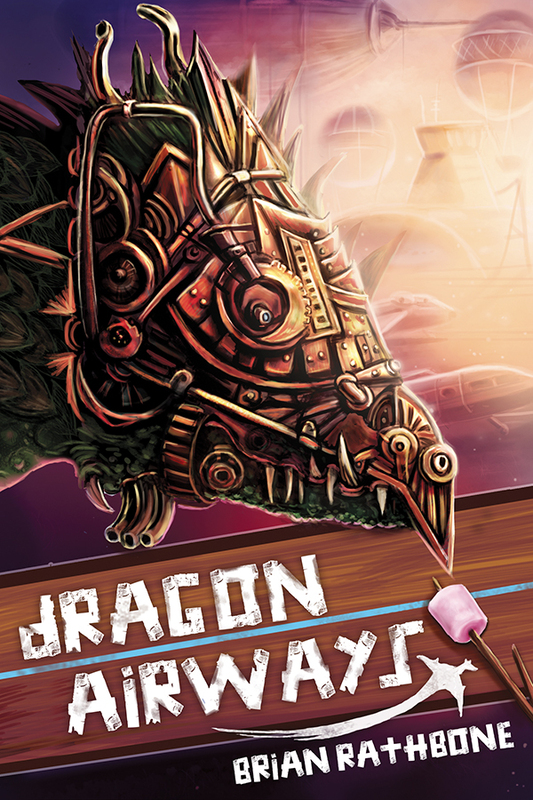 The portfolio on his website showcases art for board/card games, cartography, logo design, vector art, commissioned pieces and video game artwork. I chose a matte finish this time and was surprised at how superior it looks and feels compared to a gloss finish, which I selected with the previous cover. Gloss felt too smooth, bordering on kinda icky, like a library book that has been wiped clean. The matt finish feels chunky, solid, more like a real book from a shop. And the spine looks really cool too, though not captured that great in the photo below. Nice shot of the complete wrap around design. Last night my dad pointed out that any of the first edition print copies, with the previous cover, might one day be collectible, possibly even worth something should I ever become mega famous, especially those that have been signed. Well one can but dream, right? I’ll settle for getting The Holt and The Retreat finished and published first, and sell some books to readers who enjoy things that go bump in the night, or in this case things that want to rip your throat out and then gorge on your hot wet flesh in the night. Gotta love the ability to imagine. That’s it. I’m hitting publish and heading to Word for some writing fun. This is a fabulously entertaining interview, Dave & Jamie. You managed to cover all sorts of things not in my interview. May have to reblog this later in the week. And I’ve discovered a new band to listen to. I love all things Scandi. Interestingly, my readers (Dave included) have decided that Desiccation is sci-fi rather than urban fantasy. Practically every review has said this is the case, which just goes to show that writers don’t always know what they’re writing! I may yet have to ask you if you’re willing to change the blurb on my book as it’s wildly different from my Amazon description now. I wasn’t into English Literature at school as the books were mostly so boring. Can remember my house mistress confiscating a book that I wasn’t meant to be reading. It was a bodice ripper set in the reign of Louis XIV. A second Jamie Noble Frier interview, this time by Dave Farmer. 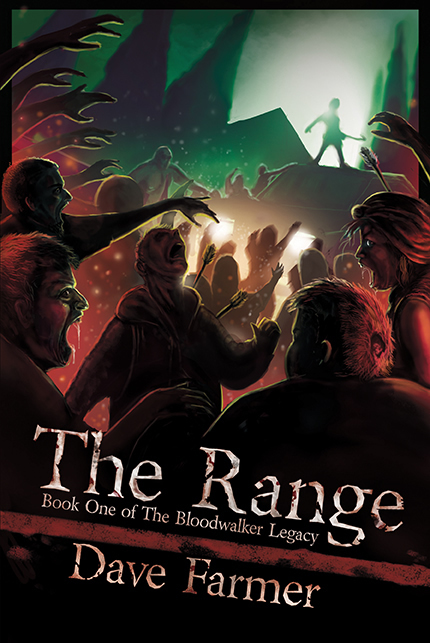 For those who don’t already know, Jamie is the super-talented artist who illustrated the book-cover for “Desiccation” and has now created another superb one for Dave’s apocalyptic zombie horror novel, “The Range”.